Candorhal’s Administration Team would like to first and foremost thank you for taking the time to go over these lines, and in advance, for sharing your input. You may find who we are, what we are trying to achieve and our introductory post by clicking on the link available here ( https://www.reddit.com/r/wowservers/comments/b8jmmg/candorhal_i68_progressive_wotlk_introduction/ ) . 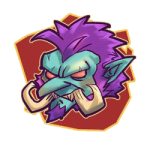 Our team would like to announce that the realm has been opened for testing/reporting/fixing.. and then some more testing. You may now register an account, create your character, test out the “intro pack” and play around the Borean Tundra zone. 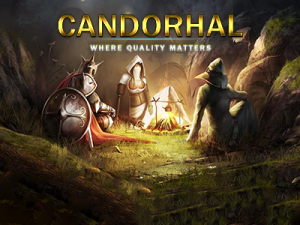 Keep in mind that you are limited only to the Borean Tundra zone for now, as we would like to try a new Deving experience, and fix things zone by zone, until they reach the quality Candorhal is trying to achieve. If you have some time to give us a chance, we welcome you on our Discord Channel so we can connect and shape the realm while taking your ideas and opinion into consideration. The poll we submitted last week will be released soon and we will be discussing the changes as per community’s request. Feel free to test our xRay Anticheat Engine, our Borean Tundra questing experience, the starter pack and share your input, what you would like to change, reporting anything that is not working properly, so our Development Team can work on it while providing you with a truly amazing experience soon enough. Candorhal is not about us, it’s about you, it’s about what players want, it’s about what players need! Shape the realm you always wanted to play on!